Both smartphones will include a free wireless charger unit inside the retail box. 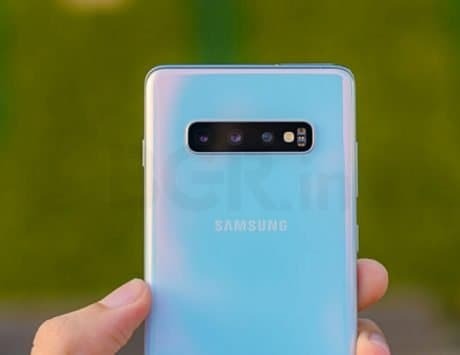 Samsung has launched one more color variant of the Galaxy S9 and Galaxy S9+ in China, called the ‘Ice Blue’. The new color comes with gradient finish of blue and white paint job. Samsung had announced the model earlier this week and it is available for pre-order. 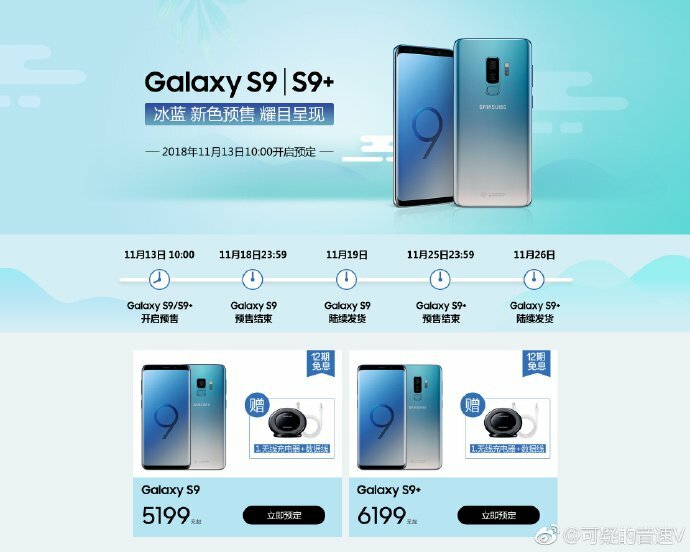 The Samsung Galaxy S9 ‘Ice Blue’ is priced at RMB 5,199 (approximately Rs 52,000) while the Ice Blue Galaxy S9+ will be offered at RMB 6199 (approximately Rs 62,000) price tag (via GizmoChina). 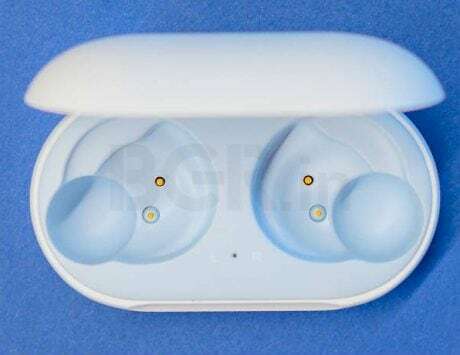 Both smartphones will include a free wireless charger unit and data cable in the retail box along with pair of AKG tuned heaphones and wall charger. Samsung had first launched the Galaxy S9 and S9+ back in March in six color options. The list of colors include Lilac Purple, Sunrise Gold, Titanium Gray, Coral Blue, Burgundy Red, and Midnight Black, although availability these colors vary upon different markets. The Samsung S9 has a 5.8-inch curved screen while the S9+ packs a 6.2-inch display. Both support 2K resolution and Gorilla Glass 5. Earlier today, it was reported that Samsung Galaxy S9+ is receiving a new update in some European countries with November security patch. The flagship Galaxy S series smartphone is said to be getting this update over Samsung Smart Switch and not via over-the-air (OTA) release. The Galaxy S9+ update has been released with software version G965FXXS2BRJ6. Since it is not an OTA release, there is no changelog as yet, but the update is said to be similar to Galaxy Note 8 November update.